Do you struggle to find personalized gifts for mom? It’s hard finding that right gift, you know the one your mom will love and treasure forever! 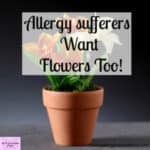 I’ve done the hard work for you I’ve gone through Etsy mom gifts and picked out the 10 best gifts for mom’s I could find. 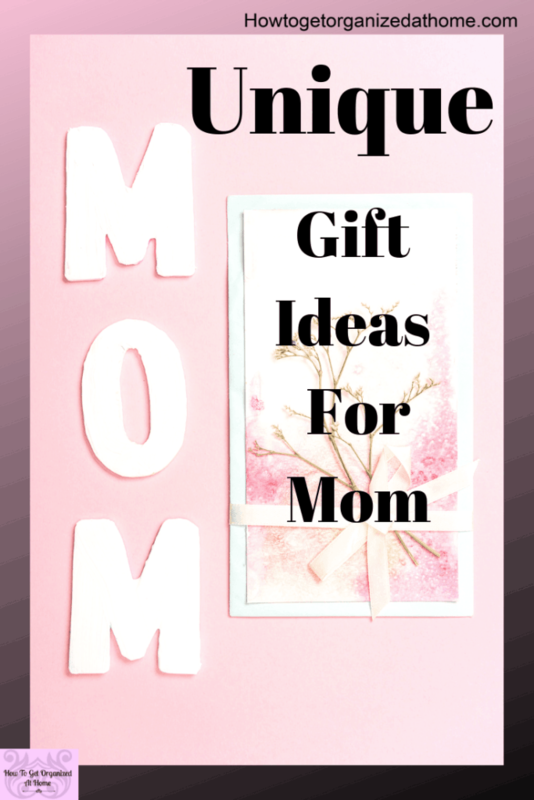 Don’t get me wrong, these gifts might not be perfect for your mom, after all, I don’t know your mom personally, but they will inspire you to find the right gift for your mom. 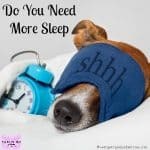 What I did was go through a lot of different Etsy shops and crafters to find you some really inspirational gifts that I know I would love, I’m a mom to 3 children and I have a mom too, so I think I qualify for knowing something about what moms want! 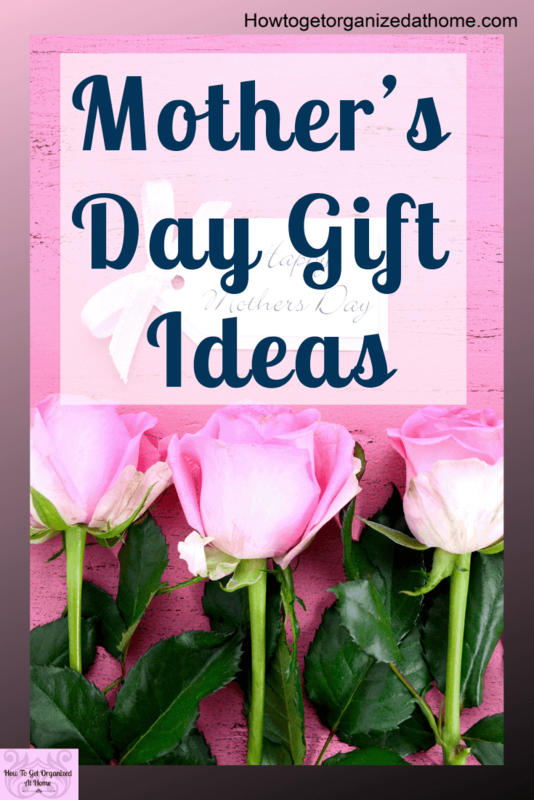 When it comes to Mother’s Day gifts don’t think that the first thing you see is going to be the perfect gift for your mom, only you know your mom like you so make sure you think about what she likes as this will help when you are looking for that perfect present. If you are thinking about something that is personalized remember you will need to give yourself more time to get the item ordered and delivered! 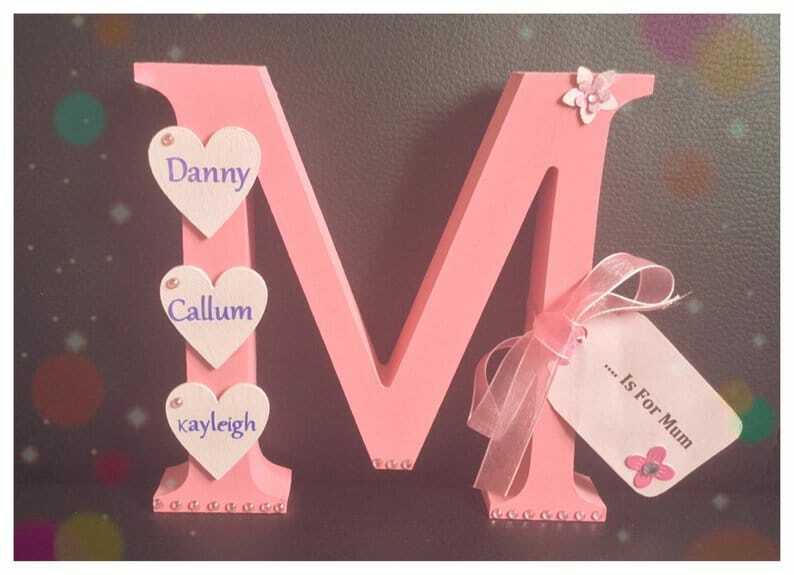 You are seriously spoilt for choice when it comes to personalized gifts there are so many it’s hard to choose just 10, but here goes, in no particular order! 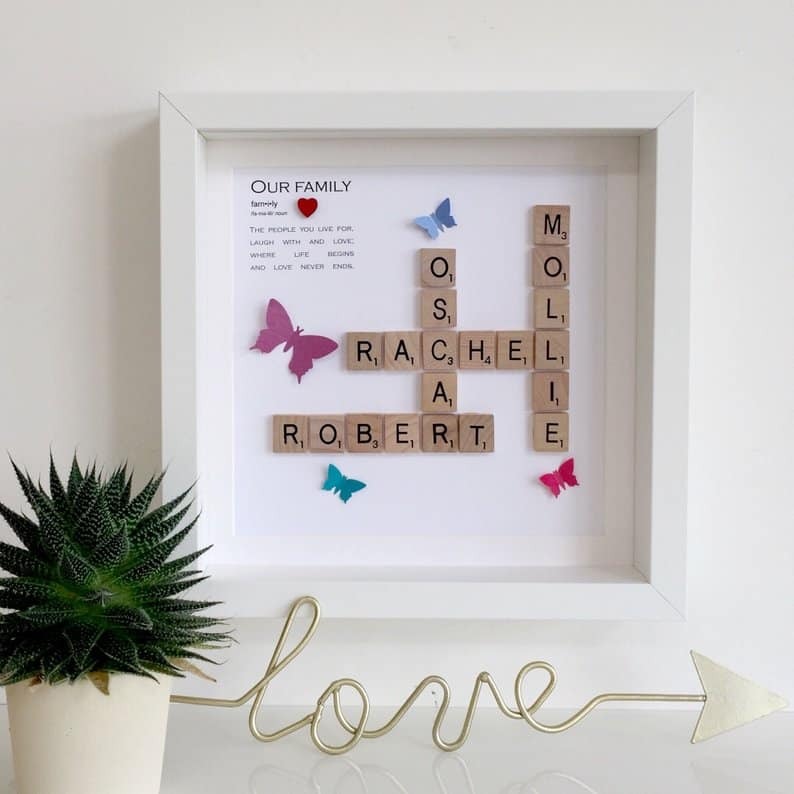 If you are looking for something a little special I don’t think you can go wrong with this scrabble wall art! It’s perfect, it’s going to last and it’s so cute! Etsy necklaces for moms are amazing, the attention to detail is breathtaking and there are some incredible necklaces out there to choose from. 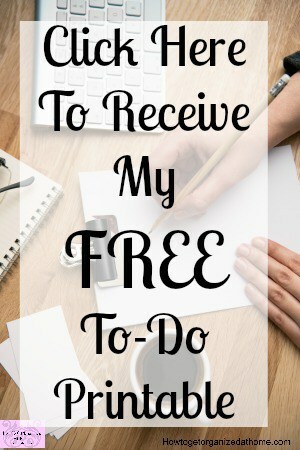 So, for me picking just one necklace that I thought was amazing was not an easy task, but I did it just for you! 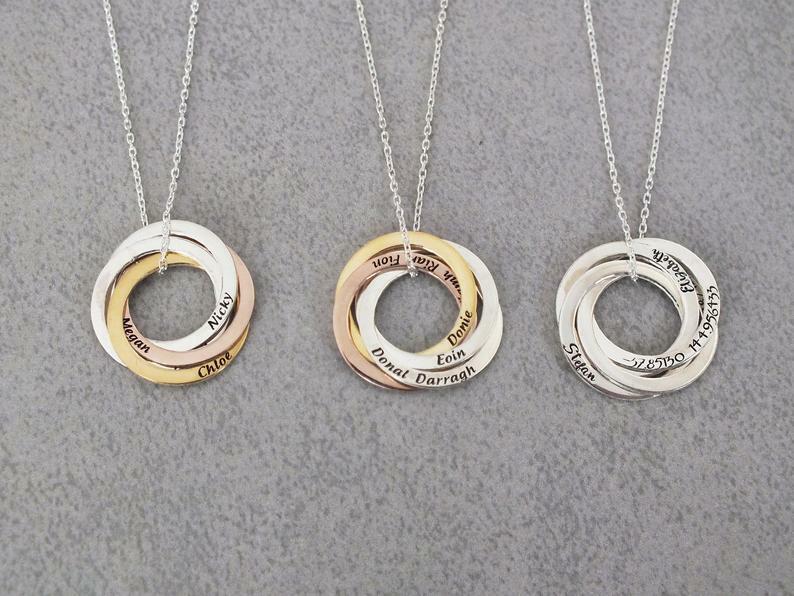 This circle necklace is stunning, it’s great that you can personalize it to your own needs and I know that I would love this necklace for myself. The way the circles are interwoven and connected is pure joy and a perfect way to connect mother with child or children! Having memories is one of those special moments that you don’t want to forget! Getting a picture transferred onto wood is truly amazing! 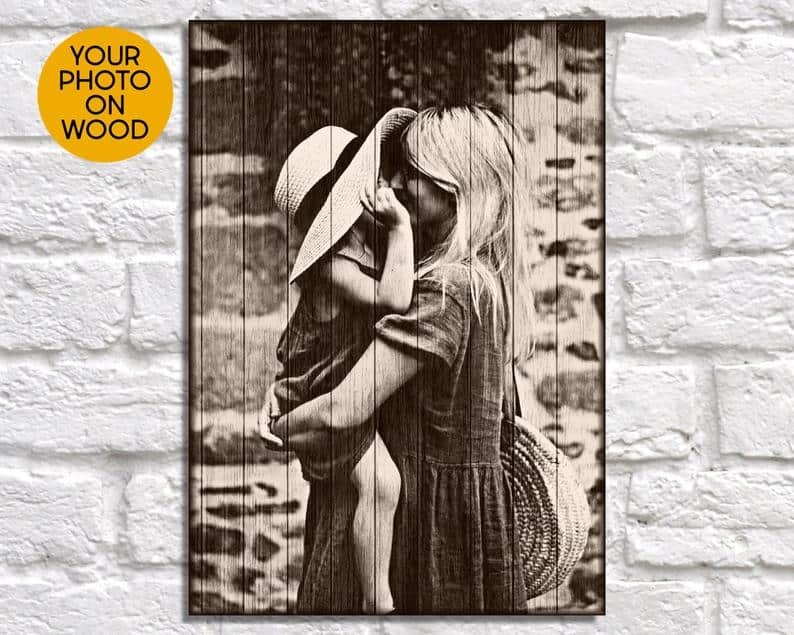 Don’t go for the traditional canvas, go for something different and unique and having a special photo printed on wood is just perfect! 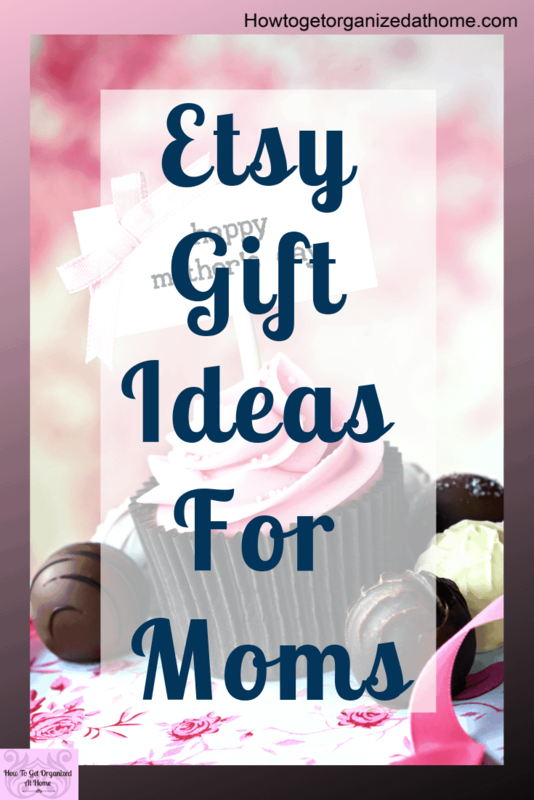 Etsy personalized gifts are perfect for making your mom feel special! I love things for the home, lovely home ideas are perfect when you want to make your home feel special. I’m in love with letters at the moment, I think they make a simple statement that not only looks good but has a special meaning too. This simple letter and names is a perfect gift for Mother’s Day. 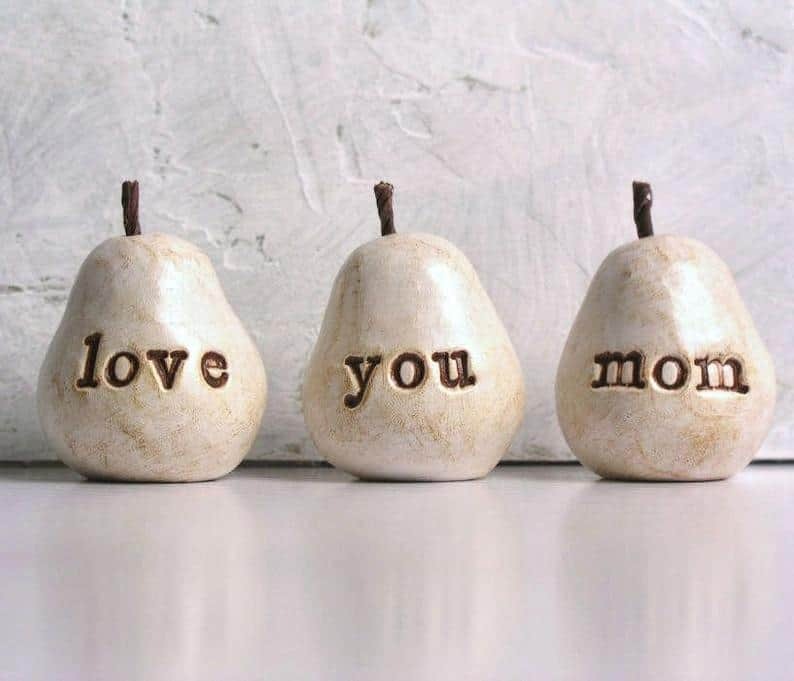 Something stylish for your home that is completely different, simple but so stylish are these pears. 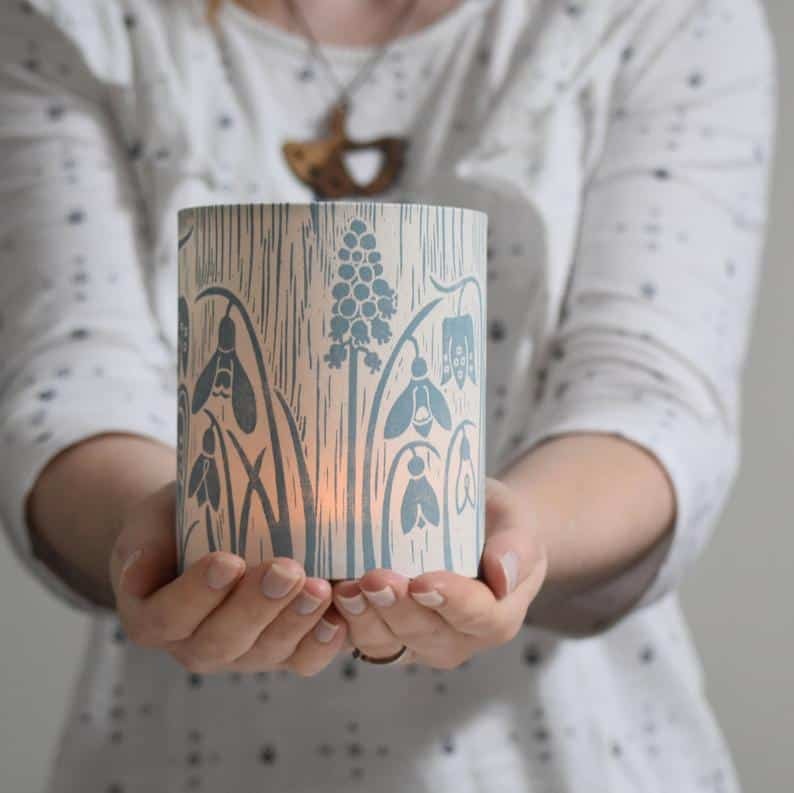 They are handmade and are a set of 3 and the design and style of them is amazing and simple at the same time! These are lovely home ideas that are perfect for Mother’s Day. When it comes to something that not only looks pretty but will last then you need to think about how it will look in your mom’s home and if it matches their style and likes. I love this Spring Flowers Lantern it’s simple but elegant at the same time! The simple gift ideas tend to work better because there are less things that can go wrong. 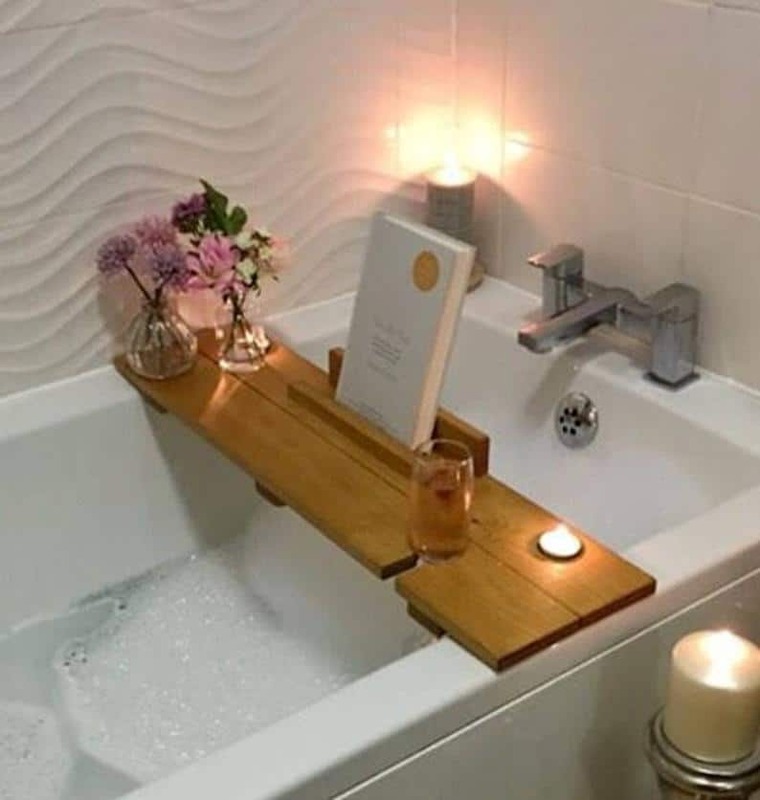 If your mom loves to relax and unwind in the bath then this rustic bath shelf is perfect! It holds your drink and a book, all you need is the time to relax and enjoy! When it comes to a mom and her family, nothing is more important! 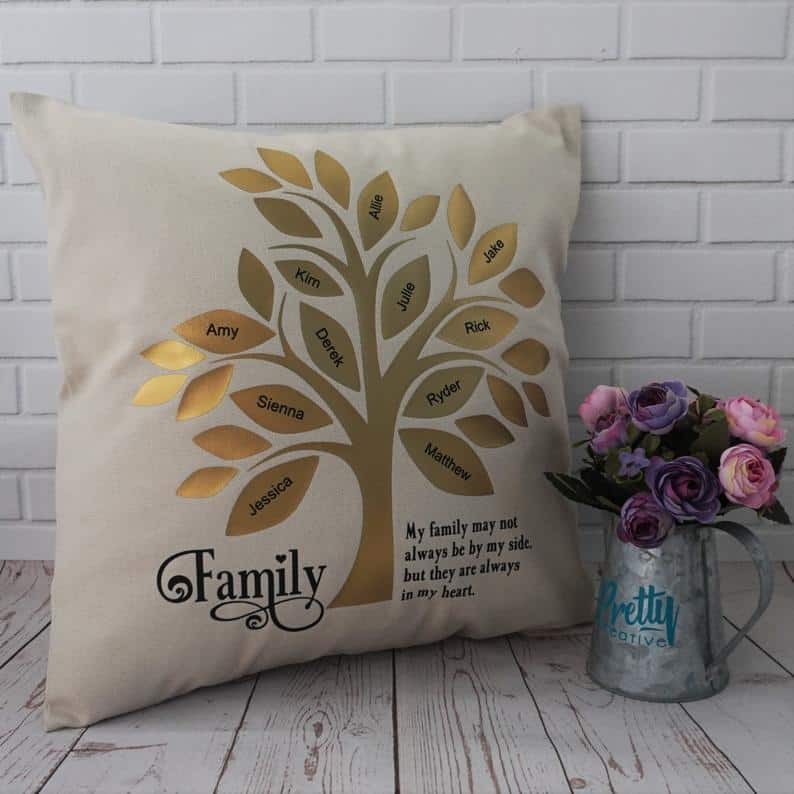 This family tree cushion is perfect for any mama bear and all her family! 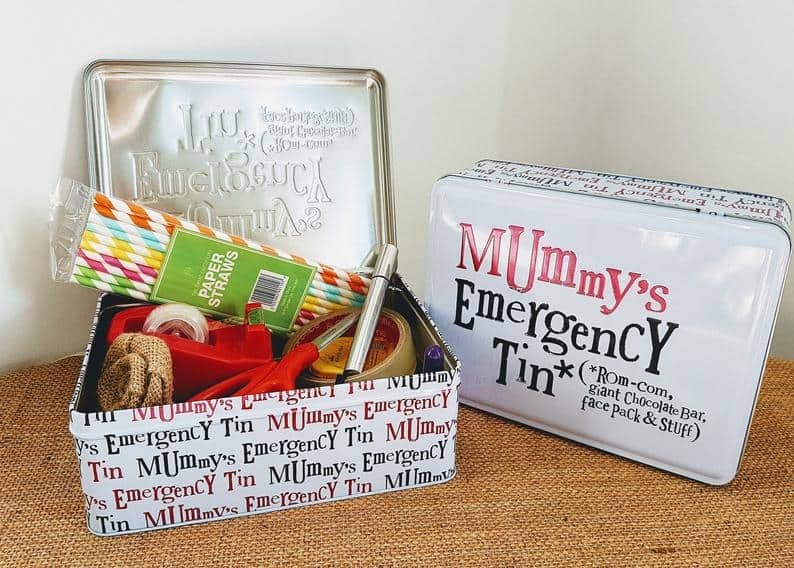 Mummy’s Emergency Tin is perfect for any mom who needs a bit of alone time and you get to fill it with all the things that your mom loves! 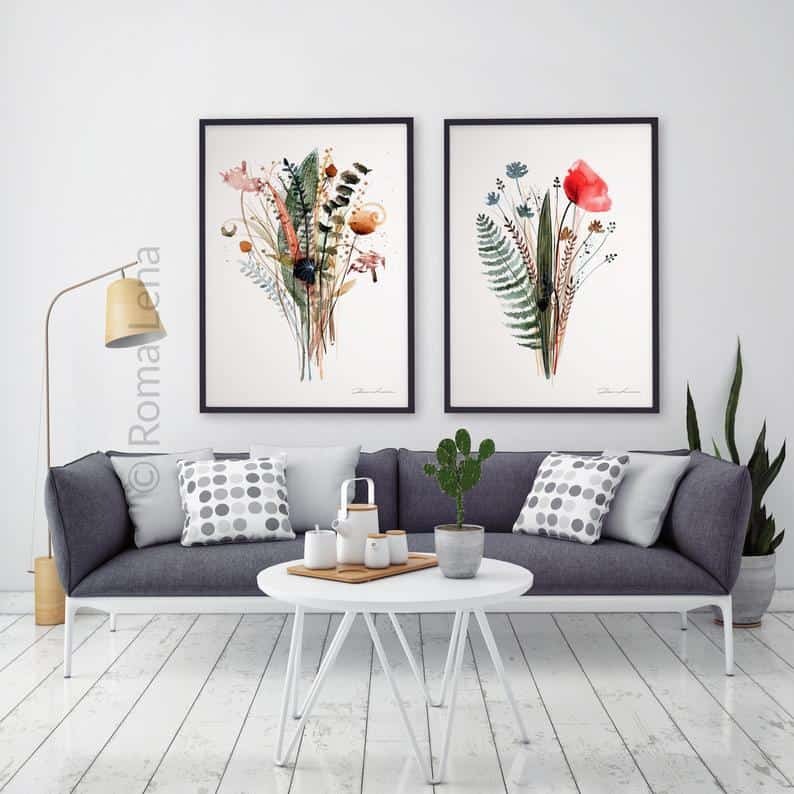 If you are looking for something a little different but equally special, I’m in love with these watercolour flower pictures. They are stunning! They make the perfect gift for any mom who loves her art. I want you to get inspired by what you can find, don’t just jump at the first gift idea that you see, think about what your mom likes, how her home is and what her needs are, only when you have taken all this into the equation will you really have an idea what the perfect gift for your mom on Mother’s Day will be. Don’t let the stress of the moment make you purchase something without thinking about your budget and what items you want to buy. If you are looking for more resources then you must check out the editiors picks on Etsy for Mother’s Day! Other articles that I’ve written for gifts for women include: 25 Great Gift Ideas For Women For Anytime Of The Year, A Fantastic Gift Guide For All Your Personalized Gifts and A Great Gift Guide For All Occasions. Is your mom looking for something for her home or does she need something that is special just for her? Once you have figured out your budget and the type of gift you want to buy then and only then should you start looking at actual products! These Etsy gift ideas for moms are just that, ideas to get you starting to think about what your mom would want and love!